It is a GREAT day to be a Welch White Tiger! School Store 8:50 AM - We have SMENCILS! White Tigers Rock KINDness… Warm your hearts and join us for the annual PTA fundraiser “Rock KINDness” Dance on Friday, February 8th, 6:30PM-8:30PM. You and your family will enjoy great music, dancing, crafts, games, fun giveaways, 5th grade Farewell ‘GLOW’ items & food for purchase, and of course, socializing with your Welch community. Discounted ticket sales have been extended until Monday, February 4th. Full price ticket sales are available via credit card at HTTPS://welch204.memberhub.store/ until Thursday, February 7thâ€” 5:00PM. Cash ticket sales are available at the door. Questionsâ€” please contact Tonia at toniabrock01@aol.com. Thank you for your continued support, Welch PTA. Parent Teacher Conferences… Spring Parent/Teacher Conferences will be held on Thursday, February 28 from 1:00-8:00 pm (this is not a student attendance day). Spring conferences are on an “as needed” basis. If the teacher is requesting a conference, parents/guardians will be notified on or before February 11. If you want to request a conference, please contact your child’s teacher by February 15. Welch White Tigers Choose KIND… In order to spread KINDNESS during the month of February, Welch will be participating in a birthday bag and food drive to help families in need! We will be collecting items by the main office the weeks of February 4th and February 11th and are hoping to collect 1000 items over the course of the drive. If we reach the goal of 1000 items we will celebrate with a whole school pajama and movie day! 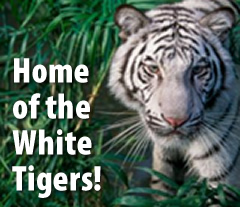 Thank you for your support and for helping our White TigersChoose KIND! Yearbook Cover Contest… It is time for the annual Welch Yearbook Cover Contest! The theme for this year’s yearbook is “Welch White Tigers Choose Kind!” Information and details about the contest are attached! Valentines and Friendship Cards… Students are invited to bring in Valentines or friendship cards for their classmates that will be distributed on Thursday, February 14th. Students that wish to participate should bring a card for every student in their class, but we ask that no food, candy or treats are sent in to be shared. Teachers will be sharing class lists and more specific grade level instructions for Valentines and Friendship Cards this week! Thank you! 2019-2020 Kindergarteners… If you have a child who will be five (5) years old on or before September 1, 2019, he or she is eligible to enroll in kindergarten for the 2019-20 school year. You are invited and encouraged to attend a Kindergarten Preview Night on April 24, 2019 at 6:00PM. At this meeting, we will provide a detailed look at what the kindergarten experience will offer. You will also be provided with more details related to registration requirements and deadlines. This night is designed for parents/guardians AND incoming kindergarten students only. We ask that siblings do not attend this event. We need the Kindergarten Information Sheet Welch completed prior to orientation so that we can begin planning kindergarten enrollment for the upcoming school year. This information will be used to form a kindergarten mailing list. Once on the mailing list, additional information will be mailed to eligible kindergarten parents. Information regarding registration will be available after April. If you have any neighbors who do not presently have school-aged children, but will have an incoming kindergartner, please give them a copy of this form or ask them to call our office at 630.428.7200 so that we can send them this information. I look forward to meeting you at the Kindergarten Preview Night. TA Recruitment… Do you have a Bachelor's or an Associate's Degree? Or 60 semester hours of college coursework? If so, you could be a Teaching Assistant with District 204. Teaching Assistant positions are perfect if you want to work full-time school hours and receive benefits. The District is now accepting applications, screening applicants and hiring individuals to start right away. Click the link below to learn more and/or apply now at Teaching Assistant Jobs.